These Keep Popping Up: Popcorn Words - Create a large white and red popcorn tub with large kernels listing popcorn words for early readers (words they are likely to come across in books). What's on the Menu for Our Day - Hang a large menu with the day's schedule but instead of price, the time is listed. Work Worth Buzzing About - Double mount student work on yellow and black striped paper with die-cut bees to accent. Soaring To A Successful Year - There are many variations on this theme: birds, planes, rockets. Write the students’ names on whatever one you choose! This Class is Awesome Sauce - Draw a large tabasco/ranch dressing bottle with drops spilling out printed with student's names. Friendship Flower: Help It Grow - Craft a large watering can with drops pouring out on one large flower; the drops have suggestions for how to be a good friend printed on them. Pronoun Patch - Cover your board with flowers, in the center of each a pronoun like "she" or "he." The petals have words such as teacher's name, favorite book character, principal's name, etc. that fit with the pronoun. Our Flock Rocks - Construct a large tree with die-cut birds, fruit, or animals that have student names on them. How Much is 100? - Fill your board with baggies of 100 marshmallows, 100 paperclips, etc. This is an especially fun bulletin board idea for the 100th day of school! Help Wanted - Cover the board with classifieds from the paper (red letters and a border make it pop!) and post classroom chore jobs with student names. Striking Work - Decorate a board with lightning bolts surrounding great student work. I Wish... - On this board, a large white puffy dandelion with seeds flying off is made of strips of paper where students finish that sentence. Gobble Up Great Word Choices - Make a large turkey with feathers that list creative adjectives for students to use in writing assignments. Our Colorful Class - Have students complete the sentence "If I was a color, I would be ___ because ___" and mount on cutouts of paint cans or on multi-colored paint splatters. NOW FEATURING: Our Best Work - A large black and white marquee with student work framed in black paper below; a tub of popcorn in the corner compliments the cinematic theme. Friends Care, Friends Share, Friends are Everywhere! - Use free maps from a visitor's center near you and put die-cuts of children on top to place ‘friends’ all over the state (or use a map of the school). Good Work Spotted - Use paper patterned with leopard, cheetah, or giraffe print to frame student work. LOL: Love Our Language - Introduce concepts like phrases and prepositions in fake text blurbs; this can also be used for foreign language departments. Instagram Inspiration - Use an Instagram logo and display first day of school photos with fun hashtags to decorate! Insta-Famous - Have each student dress up like a famous person and write a caption underneath each picture with an interesting fact about the student; add a creative username. Ignite Your imagination - Craft a large central campfire; on logs or stars in the sky write words like "create," "question," "explore," "discover," "inquire". What's That Job? - Use a folded paper to name a little-known career with explanation and/or a picture revealed underneath the paper (think audiologist, nephrologist, cosmetologist). Gold Medal Work - Especially great when it's an Olympic year; display student work with the trademark rings, medals, and maybe even a podium! Spotlight On Student Work - Use black tubes to make fake spotlights for each upper corner; large yellow "beams of light" will cross over each other to display student's work. Be - On the board, the word "BE" is in the middle surrounded by attributes that create a positive classroom environment. What A Bright Bunch - There are many uses for this title: two large flashlights with crossing beams, light bulbs with student names, or a string of holiday lights with student's names on the bulbs. In This School, We Swim Together - Use some fish with crazy eyes or a funny hats/bow ties in the middle of a bunch ‘regular’ fish to encourage inclusion. America's Got Talent - Use the TV show logo and showcase the talents (even silly ones) of students. Seeing Science Everywhere - Scatter different -ology words and what they mean over the board to explain the different branches of scientific study; list some little-known words for fun. New Day New Choices - Draw a large central sun that is surrounded by beams. The beams have choices written on them that students feel they have to make each day (like listen, create, smile, be kind, or work hard). Reach for the Stars, Our Goals - On a black background paste cutouts of students’ traced hands and arms on colorful paper and write goals for the year down the arms, with stars along the top of the board. #2CoolAtSchool - Have students cover the board with hashtag phrases that help them get through their day (#friendsarethebest, #can'twaitforrecess). Kindness Matters - This simple phrase lets students know this is a classroom priority. This board could also include memories on sticky notes of times when kindness mattered to the students. Think Tank - Make the entire board a fish tank, place questions on the board in bubbles, and have students write the answers on fish that they add throughout out the month/year. Where Am I? 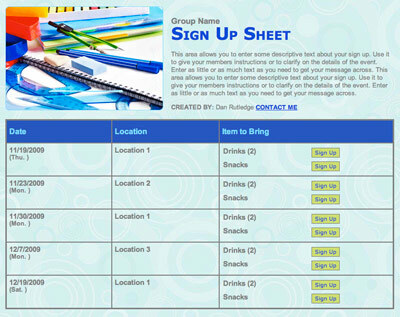 - Create a map with longitude and latitude lines; post an exotic daily/weekly coordinate and have students interact with bulletin board by guessing the given location or listing facts about it. Our Burning Questions - A large beaker with flames underneath, invite students to use sticky notes to ask questions they want answered about science and place on the beaker. Math is Important Because... - For older students, have them write on sticky notes all the reasons math is important in the real world. You Can Quote Me - Cover the board in black paper and let students write their favorite lines from books with a silver sharpie all over it. Synonym Rolls - This board has large white circles with swirls spiraling from the middle and a word written in the middle of each (ex: good). Then students add more creative words around the swirl that can replace the center word. Here at (name of school), You'll Fit Right In - The board features interlocking puzzle pieces with phrases like "Loves the beach," "Loves art," etc. Students can add pieces based on what they like. Unlock Your Potential - Have large old-school keys printed with the names of school clubs or activities! Look Who's the Real MVP - Have a staff compliment bowl in the office and spotlight staff and the compliments they were given. We Are ____ (school mascot) - Use letters of the mascot to make an acrostic with positive student characteristics. Friends of Many Cultures Make The World Go Around - Large Earth in the center with the cultures represented at the school listed in stars scattered around the globe. Who Done It? - Introduce staff with pictures and then several "Who done it?" questions like "Who broke their leg three times as a child?" or "Who has traveled to Egypt?" Just Keep Swimming, Only ___ Days Left - Use Disney characters from "Finding Nemo" and give students the task of writing the countdown to the last day of school on sticky notes. Keys To A Great Year - Draw large old-school keys printed with your school motto or behavior expectations. We have an AMAZING RACE Ahead of Us! - Feature pictures of team/grade level teachers and administrators doing amazing feats (aka silly stunts, like going down slide as a group). Because I'm Happy - Using lyrics by Pharrell Williams, have students write what happiness means to them on two hands overlapping slightly (to clap along, of course)! Keep Calm And (school's mascot) On - Use a font like the iconic "Keep Calm" signs and put your mascot logo instead of the crown at the top! Our Playlist for a Great Year - Make a large-scale device with a cord and earbuds, put "Shuffle Play" across the top, and create titles of songs that are positive phrases for the year ahead "Shake It Off," "Lean On Me," "Let It Go". Who Needs School? Everyone! 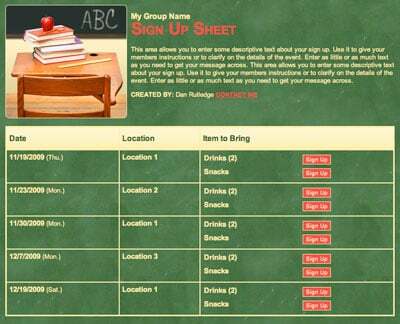 - Show real-life uses for education like reading a bill, check-writing, making a business plan, filling out an on-line form, or understanding how to find a percentage on a fun bulletin board! 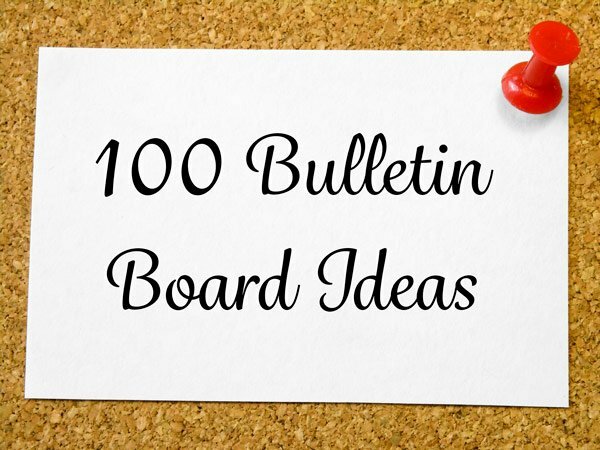 Rounding up some of the best ideas from the Internet and other teacher resources can help you keep your bulletin board fresh and visually stimulating to your students. And in the end, you have to look at it all day, too, so make it something you love! Julie David is a former teacher who resides in Charlotte, NC.